Summer is here! 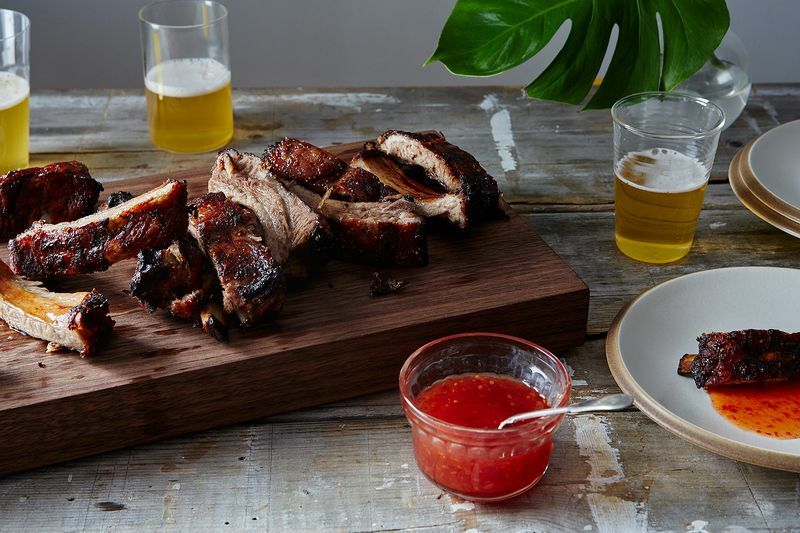 Which means it’s time to grill, so we partnered with Allagash Brewing Co. to share a spicy-sweet rib recipe that takes to their saison nicely. For sommeliers and home cooks alike, few dishes pose more of a drink pairing conundrum than ones with the spicy, bright flavors of Southeast Asia. 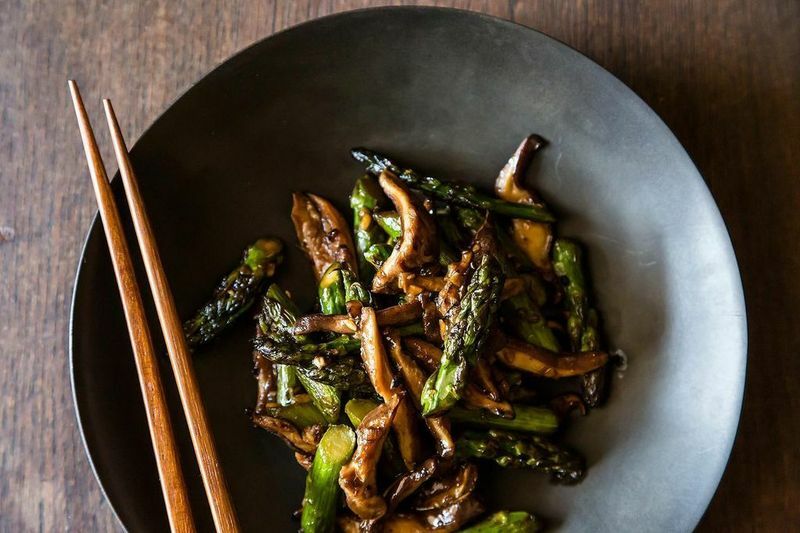 The co-mingling of potent ingredients—hot chile peppers, pungent fish sauce, aromatic ginger and lemongrass—wreak havoc on palates and make wine, and even most beer, taste strange and unexpectedly off. One remedy is to stick to tried-and-true matches like white wine straight from the ice bucket or a frosty pilsner, bland and safe. But I’m here to tell you that you can do better: Saisons—earthy, effervescent Belgian-style “farmhouse” ales—should be your new go-to pairing for Asian dishes with a kick. Here’s why. For starters, saisons are easy to love. They’re pleasing and lightly perfumed beers that go down easy. And they’re unobtrusive, unlike, say, a hoppy IPA or a roasty stout. 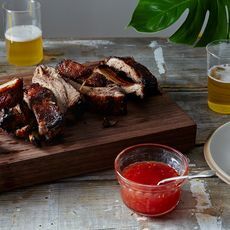 They’re also some of the most versatile beers for pairing with food—their rustic flavors are robust enough to stand up to assertive dishes while staying crisp, refreshing, and palate-scrubbing with each sip. In general, saisons are dry and effervescent with bright fruit and citrus peel aromas from the yeast and pretty, but subdued floral notes from the hops. They’re typically golden to pale orange in color and medium-bodied, clocking in at between 5% and 7% ABV (alcohol by volume). The style has been around for centuries and originated in Wallonia, the French-speaking region of southern Belgium where it was a favorite of local farmers who made beer from whatever ingredients remained after harvest (hence the term “farmhouse ale”). That commonly included rye or wheat, bittering agents like botanicals and herbs, and of course, hops. This free-wheeling approach meant that historically the saison category was expansive—it included nearly any Belgian pale ale brewed in the winter that was ready for consuming abundantly in the spring and summer, thus making saison the original session ale. Saisons are now consumed year-round—and the style is popular among American craft brewers who love to tinker with tradition and tweak Old World recipes with add-ons such as extra hops, whole fruits, citrus peel, and secondary yeasts like Brettanomyces. These gussied up versions are often barrel- and bottle-conditioned for several months, techniques that further develop flavor and aroma. 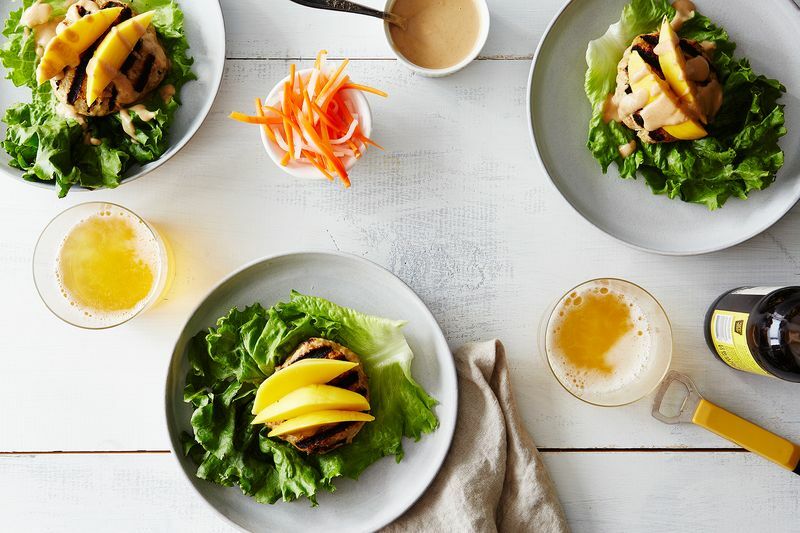 The most basic saisons, clean and simple, pair well with nearly any highly-seasoned foods like these larb burgers infused with heady kaffir lime and lemongrass, or earthy mushrooms and asparagus glazed with umami-rich oyster sauce. They’re well rounded, fizzy, and refreshing, complementing the range of flavors from bright and spicy to earthy and rich. 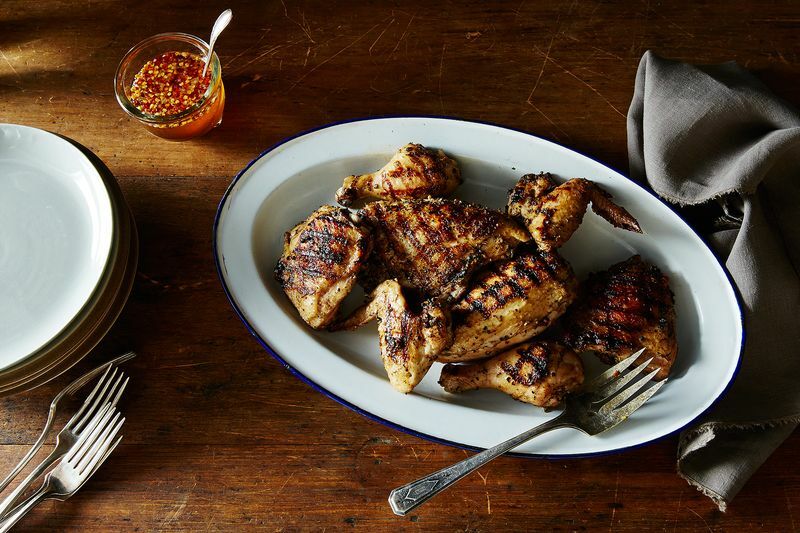 More complex versions like hoppy American saisons or ones with good acidity and funk are great foils for grilled meats like Thai grilled chicken with hot and sweet dipping sauce or fatty baby back ribs soaked in whisky (or rum) and fish sauce, scattered with cilantro. It’s these simple but robust flavors matched with a dry, clean finish that make saisons the ultimate beer for Asian foods. So the next time you’re digging into a plate of spicy pad prik khing or a bowl of ginger scallion noodles, forget the frigid wine and icy pils—reach instead for a refreshing saison. The Belgian-inspired beers from Allagash Brewing Co., from their White and Saison to more experimental ales, were made to complete summer feasts—so we’re sharing recipes to serve alongside them.